Voodoo has been a widely popular source of casual arcade mobile games on both Android and iOS devices for several years and have become home a lot of successful releases you can find in top 100 charts in several countries. 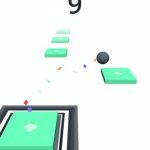 With games like Helix Jump, Snake VS Block, and Paper.io 2 taking the lead as far as popularity is concerned, Voodoo’s latest game release, Tiny Loops, for iOS platforms has closely been following in the footsteps of its most trending games. The French developer has been widely successful in creating unique, fun, and massively addictive games that always bank on ease of controls and simplicity of gameplay mechanics to make it a great game for players of all ages and expertise to play and enjoy. Still, the relative ease of gameplay that Tiny Loops hold makes it a challenge for unsuspecting or overly aggressive players. Just the same, if you are looking for a good game to pass the time and challenge your reaction time with a dash of calculations, then you should definitely give Tiny Loops a try. Tiny Loops somewhat has a tricky name in that you would expect a rollercoaster game to have mini loops in it. Well, for one, there are loops involved but they are not as tiny as you would expect and are just a small fraction of what makes the entirety of the tracks fun and exciting. Simply enough, your goal in Tiny Loops is to finish a bizarre and wacky rollercoaster obstacle course and earn high scores as you go. 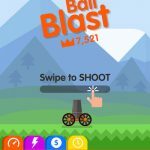 The controls are as easy as it can be with a simple touch and hold on any part of the screen is needed to accelerate your cart and releasing it will stop the acceleration. When your cart goes airborne, continuously holding down the screen will make the cart backflip and if you land successfully after that, you earn an additional cart that double the points you earn. Double backflips earn you gold carts that give two times the value of the regular cart but is naturally more difficult to pull. Failing to land on wheels or jumping across gaps leads you to lose all your carts and restart your run. There are no in-game tutorials needed as you can learn the controls as quickly as you go to start the game. Beyond that, though come more challenging tracks and traps that make it a little more challenging to complete some levels. So if you are looking for some tips and strategies on how to conquer each track in the game and secure much higher scores later on, our list of Tiny Loops cheats, tips and tricks can help you get started fast on your way towards clearing all stages with superb scores and performances. Physics-based games often rely on a bit of getting used to as far as simple cause and effect game traits are concerned. It usually involves a bit of Math to some extent, in that you have to be able to understand how high and far your cart can go with the speed you have as your wheels leave the rollercoaster tracks. 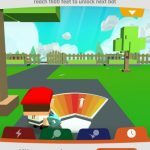 It certainly won’t be easy to predict it correctly enough in just one go so be sure to consciously observe your cart’s behaviour for your first few minutes into the game. How high and how far your cart can jump off of a railing depends on the speed you have as you reach the take-off point. The height and distance of your air time would then be the basis of determining if you can do a backflip, perform 2 consecutive ones, or just stop holding the screen and jump normally. All these will be the basic information you need learn and possibly master to prepare you for unexpected twists and turns that grow more and more challenging as you reach farther stages. 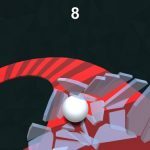 Tiny Loops requires you to have a good enough set of reflexes and despite the simple hold or release controls make it all seem easy, the insanely-designed tracks can give you surprising levels of challenges ahead. With even the fastest reflexes, you will still have a very limited time to react to every obstacle that comes your way and as such, it would be best to keep your eyes way ahead of the cart and as far ahead of the tracks as you can see. It may take a while to master, but at some point in the game you will be able to identify which bumps can send you to the air and which ones won’t. Additionally, you should have a bit more time to prepare for two or more consecutive jumps stuck too close to one another as this will be a huge challenge without careful planning and jump execution. There will also be gaps in the rollercoaster tracks that require you to meet a certain level of speed to successfully cross over. Keeping your eyes well ahead of the track should prepare you enough for these obstacles especially if you see them early on. Long accelerating straights and successfully landing a series of backflips one after another can really work any player up. In a sense, you get accustomed to it so much in that you would naturally grow to become more and more aggressive and see practically any jump as an opportunity to do that backflip. The thing is, Tiny Loops is designed in such a way that it eases your senses of danger with long straights and good jump points and surprises you with some obstacles where you need to decelerate or even totally avoiding the backflip provocation. You will come to find that in a lot of instances later on, the cause of your crash are mostly borne of excessive aggressiveness instead of lack of skill and it would be best early on to keep your wits about and always keep tips 1 and 2 in mind. Crashing and missing gaps will end your run but the saddest part of it comes with the loss of all your hard-earned carts. You can just start over regularly but to regain all your carts in an instant, you can opt to watch a short video ad occasionally. It may not be available all the time, so be sure to take advantage of it when it becomes available. As carts determine the scores you earn with distance travelled as well as every backflip you successfully landed, starting off with the full set of what you have earned will be a huge boost towards amassing higher scores moving forward. Though there are several ways to go about it, with raking in more points as you hop from one level to another being the more attractive approach, you can actually finish a course with hardly any boosts and zero backflips. The truth is, outside of gaps you need speed to cross over from, there really isn’t any need to accelerate that much. You can get permanent upgrades to your starting cart number when you complete certain stages. These carts stay with you even after each crash so progressing through the stages should be your main goal and just attempt to break high scores once you have racked up more carts to start with on each run. High scores will come in a lot easier once you have completed enough stages to earn more cart boosts. In addition to saving the urge to earn them for later, consider the first phase of your play as a training period to fully grasp the feel of the timing and physics involved in the game. Again, the game’s control and mechanics make it all seem easy at first, but once you step into the higher stages, it’s going to be tricks and traps galore every inch of the way. You may initially fall into thinking that you need to fully land on all four wheels with every backflip you attempt to do and as such, would always consider doing one or a couple only if you are certain you can make a full 360 or 720 degree-turn. Much to everyone’s relief, the game will consider a backflip successful as long as any two wheels of the cart touch the rail when it lands. It actually may not seem that much but it does leave a lot of room for adjustments especially since some doubts on whether or not you can successfully land a backflip can be cast out. More so, your consideration on doing a backflip or two should also depend on the slope or angle of the rail you will land on. That pretty much sums up our Tiny Loops guide and if you follow the tips and strategies we discussed above, we’ll be confident that you can ace all stages and make your way towards earning high scores one after the other. Like most casual arcade games, the amount of time to practice what you have learned will certainly be key towards doing better on each run, so hopefully you will be enticed to regularly go for a few runs on the game every now and then. If there are some additional tips, cheats or tricks for Tiny Loops that you know and would like to share with us, feel free to leave us a message at the comment area!